April Buford is OESA's senior director, communications. Her team is responsible for brand, member and prospect communications strategies, through digital marketing, social media, PR, and event marketing. She leads the Communications Executives Peer Council and plays a supportive role for the IT Leadership, Human Resources and Automotive Public Relations Councils. 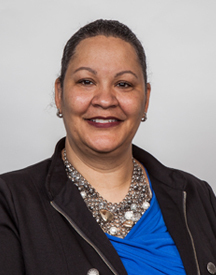 Prior to joining OESA in 2014, Buford spent her career in sales, marketing and corporate communications at Urban Science, Steelcase, Quicken Loans and Ford Motor Company. Buford has an MBA from Cornerstone University and a Bachelor of Arts in Journalism from Central Michigan University.